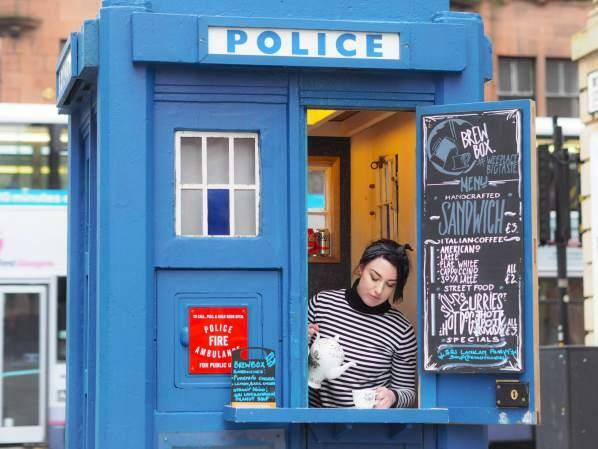 Tea drinking (other drinks are available) time travellers in Glasgow can now grab a drink at the Brew Box Café in a converted TARDIS on Argyle Street. It’s the idea of Laura Camerron and more details are available in the story on the Evening Times site: Glasgow’s first zero waste micro cafe opens – in a Tardis. New Logo – what else might we get for series 11? When will the Thirteenth Doctor find the TARDIS?